Holi (pronunciation: /ˈhoʊliː/; Sanskrit: होली Holī) is a Hindu spring festival in India and Nepal, also known as the festival of colours or the festival of sharing love. The festival signifies the victory of good over evil, the arrival of spring, end of winter, and for many a festive day to meet others, play and laugh, forget and forgive, and repair broken relationships, and is also celebrated as a thanksgiving for a good harvest. It lasts for two days starting on the Purnima (Full Moon day) falling in the Bikram Sambat Hindu Calendar  month of Falgun, which falls somewhere between the end of February and the middle of March in the Gregorian calendar. The first day is known as Holika Dahan or Chhoti Holi and the second as Rangwali Holi, Dhuleti, Dhulandi or Dhulivandan. 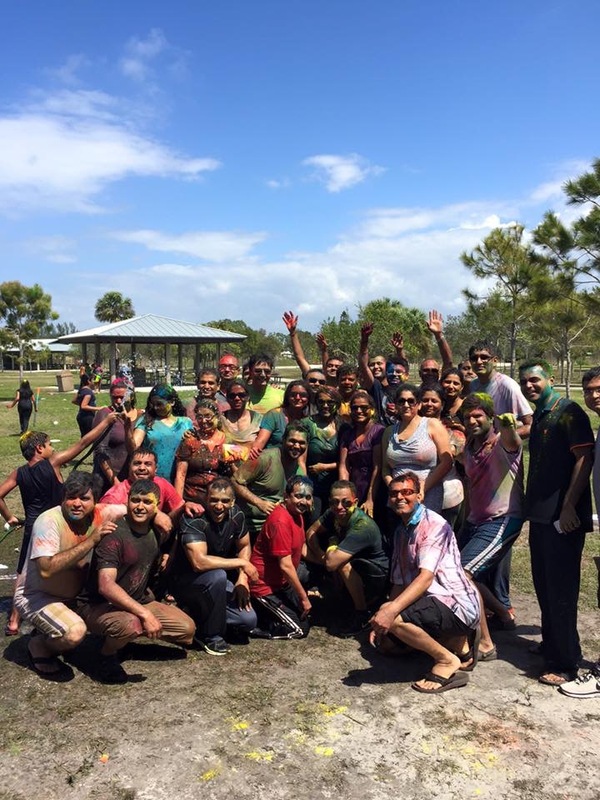 Holi is an ancient Hindu religious festival which has become popular with non-Hindus in many parts of South Asia, as well as people of other communities outside Asia. It is celebrated at the approach of the vernal equinox, on the Phalguna Purnima (Full Moon). The festival date, which is determined by the Hindu calendar, varies from year to year on the Gregorian calendar, typically coming in March, sometimes in February. It is primarily observed in India, Nepal, and other regions of the world with significant populations of Hindus or people of Indian origin and Nepalese diaspora. In recent years the festival has spread to parts of Europe and North America as a spring celebration of love, frolic, and colours.